SIDEWALKS - Tree roots can lift sidewalks and create a trip hazard. 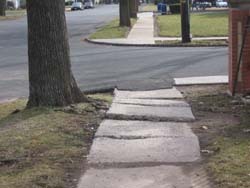 To correct this situation many times a sidewalk slab can be lifted, the tree roots cut and then the slab dropped back in place. SIDEWALK AND DRIVEWAY ICE PROBLEMS - The rain gutter and downspouts that discharge onto a sidewalk or driveway can be very dangerous situation, particularly in cold climate areas. 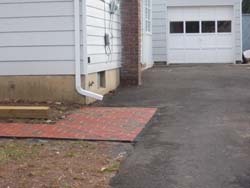 With a cold snap, the discharged snow or rain water will freeze and the area then becomes a sheet of ice. 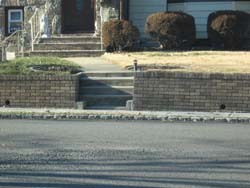 Needless to say, now the sidewalk or driveway has become a dangerous slip and fall area. 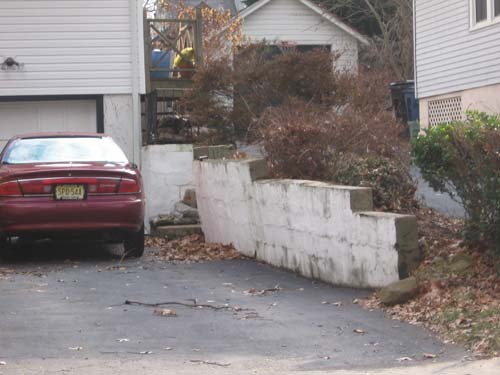 RETAINING WALLS - Some retaining walls are an accident waiting to happen if there is a deep drop off on the other side of the retaining wall. If this is the case, a fence, hedges or some other type of barrier should be put in front of the wall to prevent a person from falling accidentally into the drop off. This safety problem is evident when the garage is built under the first floor of the house and there is a very steep driveway. 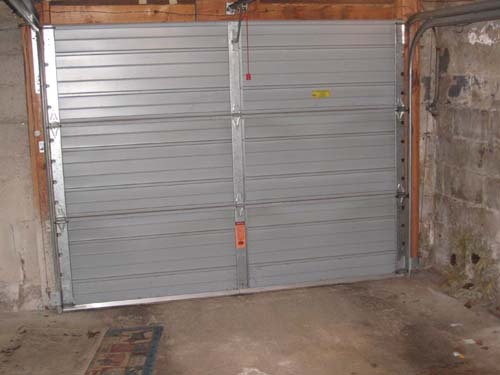 GARAGE DOORS - Motorized garage vehicle doors that do not automatically reverse when resistance is encountered is a real safety hazard. 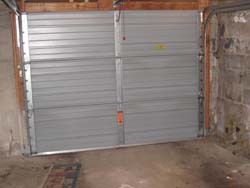 Most motorized garage doors openers have a built-in automatic reversing mechanism that reverses the direction of the door when resistance is encountered. 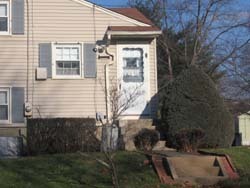 Or, some doors have electric eyes mounted on the lower garage door frame that would reverse the door if someone or some thing is under the door. These automatic reversing devices have saved many a child from serious injury. If your motorized garage door opener doesn't have either of these safety features, we recommend that the issue be addressed as soon as possible with the installation of the electric eyes type system. 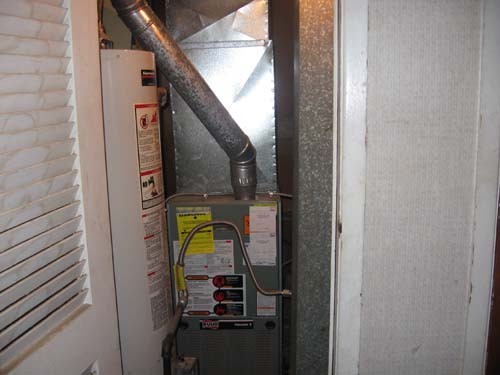 FURNACE - To assure that the furnace is functioning properly, it should be serviced once a year by a professional heating contractor. 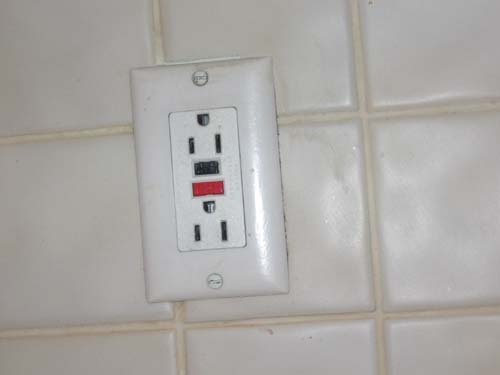 The home owner should change the filter every three months. 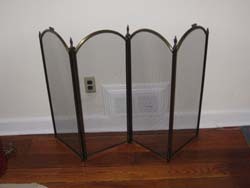 Cleaning the filter cleans the air and helps maintain adequate clean air movement throughout the house. 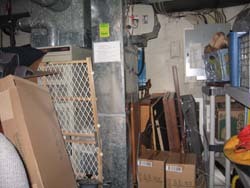 FURNACE ROOM - Our home inspectors look for the following safety hazards in the furnace room: (a) Wooden shelves built up against or near the hot venting ducts; (b) flammable materials stored on these shelves or highly flammable materials stored in a small furnace room with minimum ventilation. (c) a furnace must have a certain amount of air to function properly. Sometimes the home owner will change the furnace room door from a vented door to a solid door to eliminate the furnace noise. 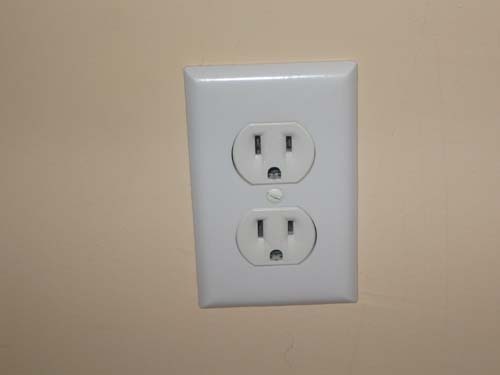 Our home inspectors have not only found door vents eliminated, but also wall vents to the furnace room closed off for the same noise reduction reason. 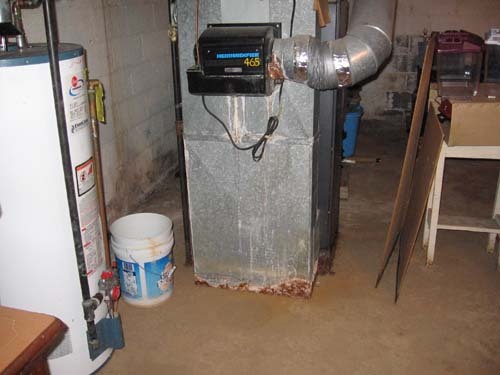 By shutting off an adequate air supply to the furnace can create a very dangerous situation. 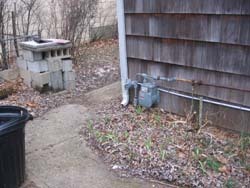 If the furnace doesn't receive an adequate air supply, there is a good chance it will start producing carbon monoxide, which is a very dangerous gas. 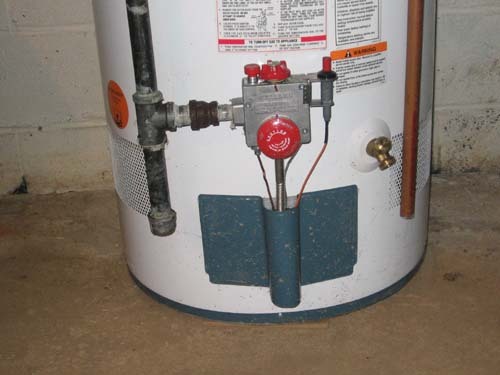 HOT WATER HEATER - Believe it or not, the hot water heater can become a dangerous piece of equipment if not maintained properly. The dangers are: (1) water temperature set to high and children get scalded. 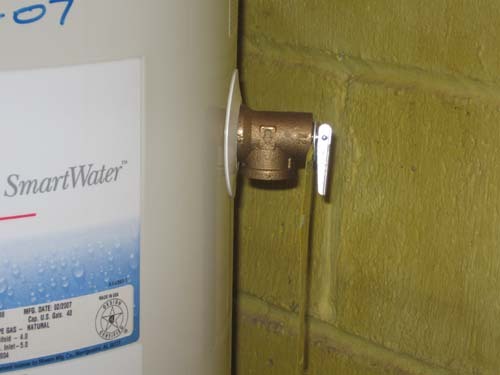 A safe water temperature setting should be no more than 120 degrees. (2) The water temperature/pressure relief valve discharge line should never be capped because of a water drip. 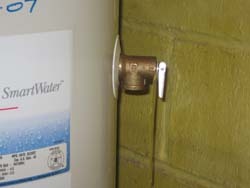 If this line is capped, the temperature/pressure relief valve is rendered inoperative. Then if there is a build up of temperature/pressure in the tank, the tank could rupture. 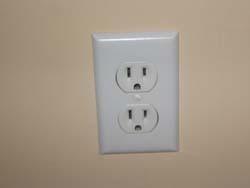 If the line developed a drip, by changing the TPR valve should cure the problem. (3) A missing or short temperature/pressure discharge line is also a dangerous situation. 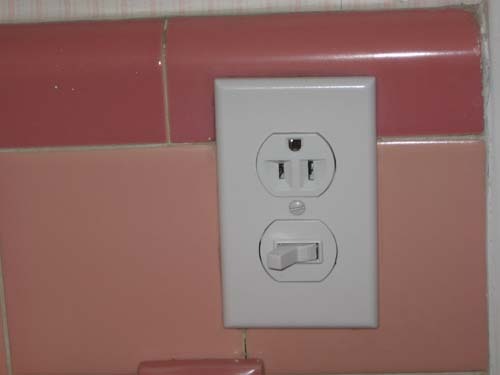 This line directs scalding water or steam to the floor if the TPR valve discharges. 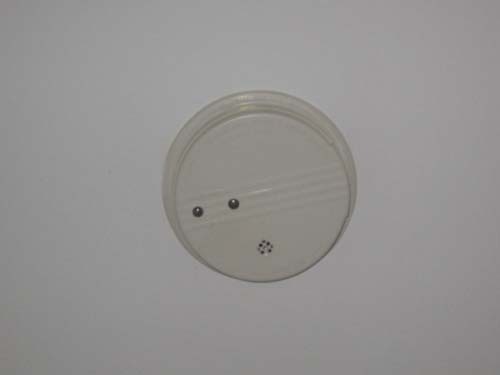 Without this line, the TPR valve could discharge hot water or stem, directly onto a person standing nearby if the TPR valve is activated (4) Hot Water Heater can also produce Carbon Monoxide if not maintained and serviced. The hot water heater will develop Carbon monoxide for the same reason as described previously in the furnace section. USEFUL LIFE OF A HOT WATER HEATER - Usually the manufacturer estimates that the useful life of a heater at 10 to 12 years. Some tell tail signs that there is a problem with the heater or, it's time to change the unit are: (a) noise coming from the heater like marbles rolling around inside the heater and/or (b) the hot water smells of rotten eggs. 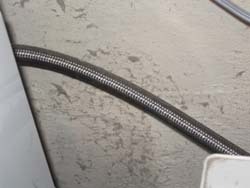 CLOTHES WASHER - Many a home has been seriously damaged when the rubber hose water filler line burst open from old age and ran water full force in the house all day or longer. This is not an uncommon occurrence. 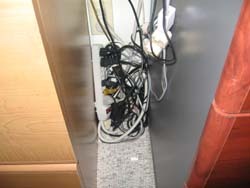 If the line burst while people are at work or an vacation, some real serious damage can happen. To avoid this situation we have two suggestions. One, change the old style rubber hoses to the new stainless steel type hoses. 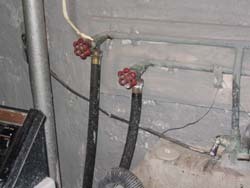 Two, close the water valve that feeds the water feed hose when one is done washing. 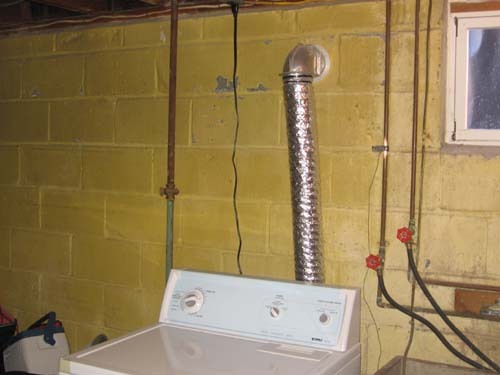 CLOTHES DRYER - there are a few area of a dryer that are a safety concern. 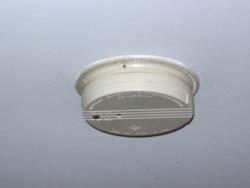 (1) Always clear the lent out of the dryer filter after a few loads of laundry; (2) periodically inspect the dryer vent to make sure hot exhaust air in being discharged to the exterior and not blocked with built up lent or some other obstruction and (3) if your dryer has an old style plastic vent line we suggest it be replaced with the new metal type vent lines. 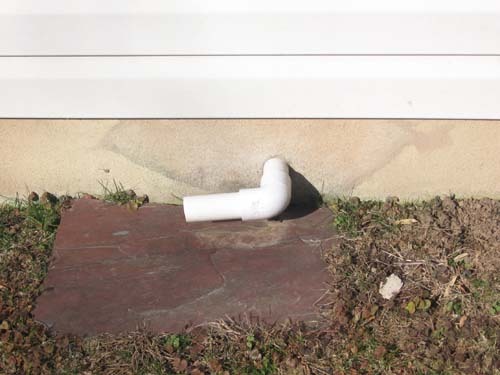 The plastic vents pipes can be kinked and block up much easier than the metal vents. (4) Never put clothes that have been soaked with a solvent in the dryer. 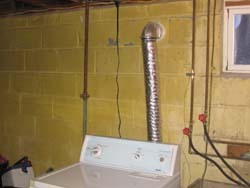 High temperature air and solvent is a dangerous combination which could cause a dryer fire. KITCHEN STOVE - The stove should have a safety tip strap which is a strap that is bolted to the wall and the back of the stove. The purpose of this strap is prevent the stove from tipping over if a child opens the oven door and stands on the open door. Without this strap, the stove could tip over on the child. 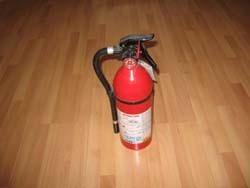 To check if a stove has a tip strap, the gas to the stove should be shut off. The stove moved out for inspection or tipped slightly to test for a safety tip strap. 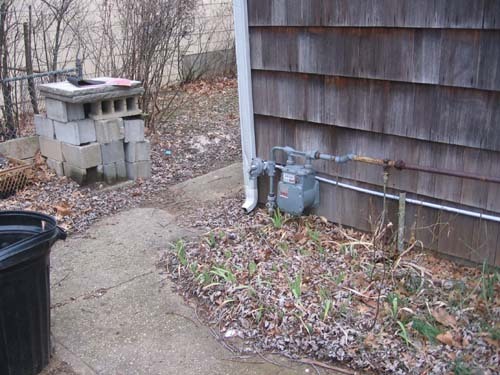 This is beyond the duty of a home inspector for two reasons: (1) home inspectors are not allowed to turn off gas supply lines and (2) inspectors are not allowed to move or tip appliances. 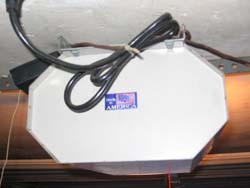 ATTIC FANS - Any attic fan can be a real safety hazard under certain conditions. 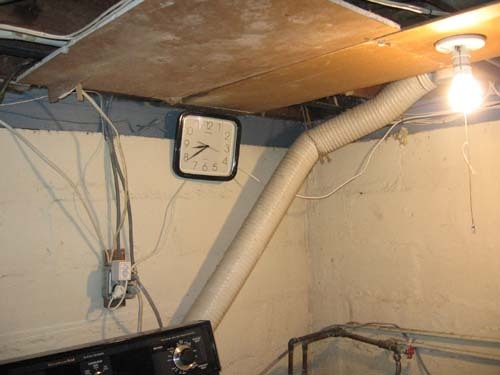 On several occasions, our inspectors have found that if an attic fan is running and there is no attic ventilation, the fan will create a negative pressure in the whole house. 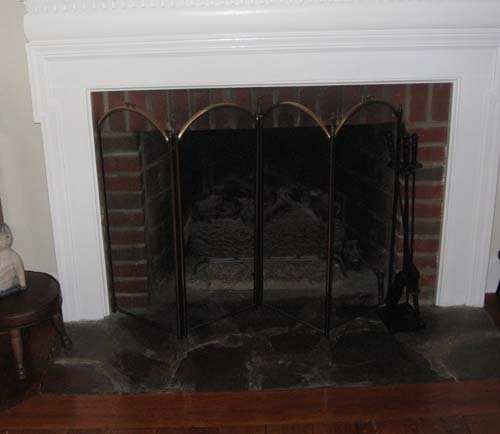 This situation turns the chimney into a air vent for the fan which could draw deadly carbon monoxide into the house. 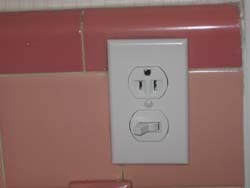 ELECTRICAL OUTLET - Outlets near water should be the GFI ( ground fault protector) style that trips immediately in case of an electrical grounding problem or a problem with equipment that is plugged into the outlet. 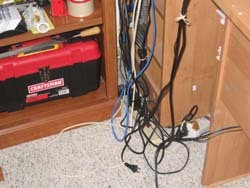 EXTENSION CORDS - If one is using an extension cord in lieu of permanent wiring, extreme caution should be used. At least use a surge protector as the main feed outlet. 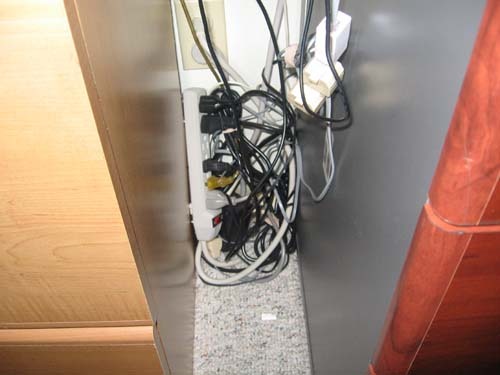 This situation is quite common in older home with limited amperage and outlets. BATHROOM VENT - Always vent the fan driven bathroom vent to the exterior of the house. 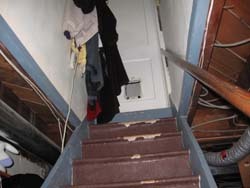 Many times our home inspectors find that the bathroom vent terminates into the attic and not the exterior of the house. Venting moisture into the attic can cause a serious mold problem. 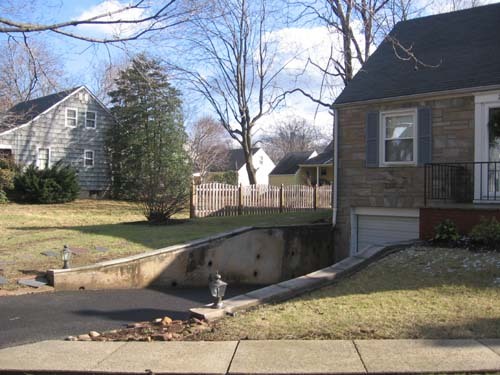 SUMP PUMP - A sump pump that doesn't function is as good as no pump at all. 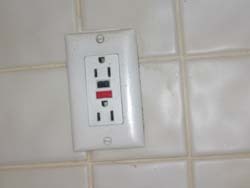 Homes have had serious water damage because someone unplugged the pump to use the electrical outlet and forgot to plug the pump back in the outlet. 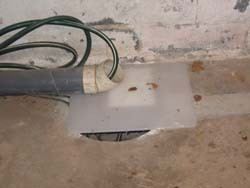 We also recommend that a sump pump high water alarm be installed. The alarm will activate if the pump is not functioning and the water in the pit is getting high. 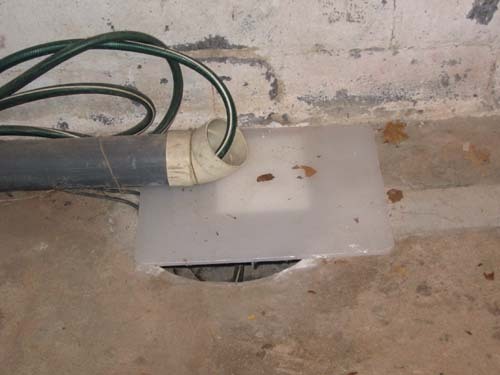 Another good idea is to have a battery backup for the sump pump in case the electric goes out for an extended period of time. (1) Inspect the attic periodically to make sure there isn't a small roof leak that will create moisture but is not big enough to be seen any where else in the house but the attic. 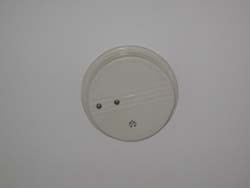 (2) As mentioned earlier, don't have the powered bathroom vent terminate in the attic causing moisture. (3) Water penetration through the foundation into the basement is one of the leading cause for mold growth in house. 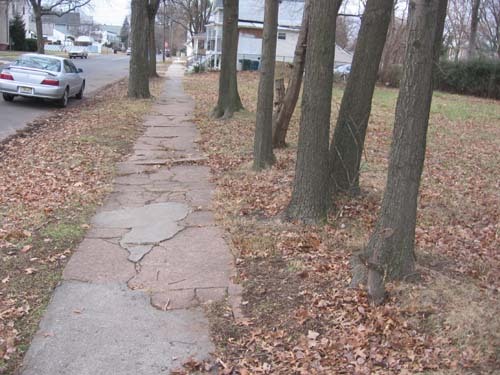 Periodically check this area for signs of a water or moisture problem. (4) If one has a finished basement, a dehumidified is a must to keep the dampness down. 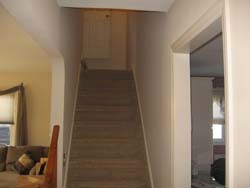 Any room that is below ground is prone to having high moisture. And, high moisture leads to mold development. 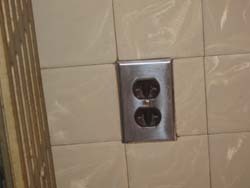 (5) Bathtub and shower caulking - One should periodically caulk and seal around the shower walls and floor and caulk and seal around the bathtub rim and floor. 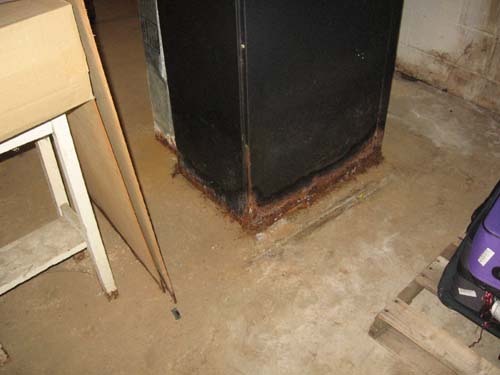 This type maintenance keeps the water in the contained area, and avoids water penetration into the floor and walls that can cause mold. 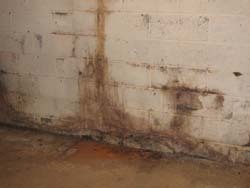 (6) Water leaks - Any place there is a water leak, even a little drip, is a potential mold problem. 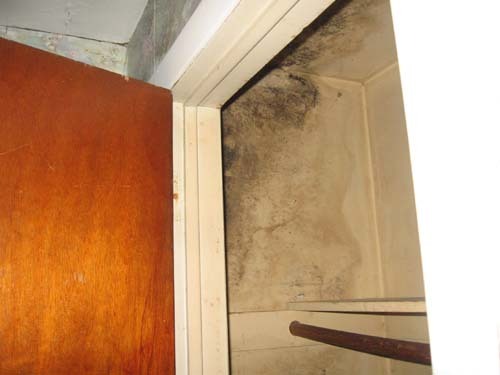 Water or moisture brings mold, fix all leaks as soon as possible. (7) Basement storage of cardboard and newspapers - Storing paper in a damp basement is a dinner invitation for mold. 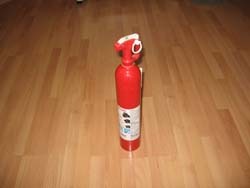 FIRE EXTINGUISHER - Keep a multi-purpose fire extinguisher on hand and have it in an easy access place where anyone in the family cane get to it quickly. 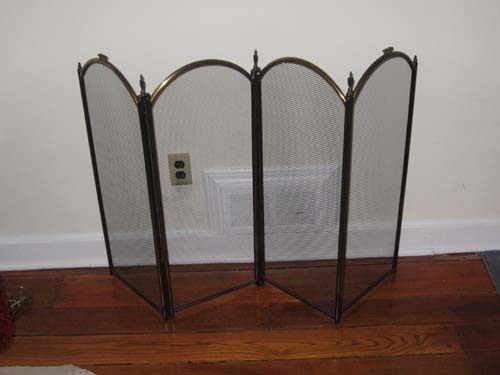 FIREPLACE - Have a full coverage fireplace screen in front of the fireplace to repel any hot sparks or embers that may fly out onto the floor. ALARMS - Every home should have functional smoke alarms and carbon monoxide detectors. When the batteries stop functioning, replace them immediately. Alarms without batteries is the same as no alarm at all. STAIRS - Some very serious accidents happen on the stairs. The two most common causes of these accidents are: (a) missing hand rails and (b) items stored on the steps that people can trip over. 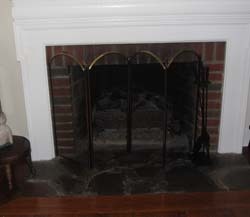 THROW RUGS - A small area rug that doesn't have a rubber backing becomes a "throw rug." These rugs slip out from under foot very easily, particularly on a highly polished floor. 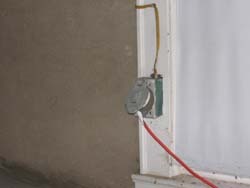 WINDOW AIR CONDITIONERS - Never use a regular extension cord to run a window air conditioner. 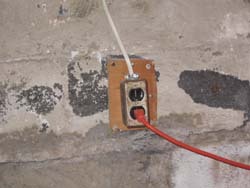 Small light duty low amp extension cords used to run a high amp a/c have been know to melt. 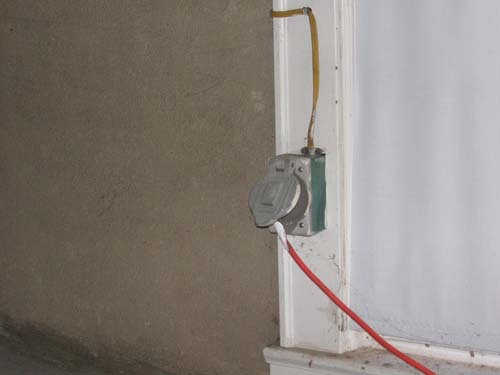 Always use a heavy duty special a/c extension cord to run a window air conditioner. 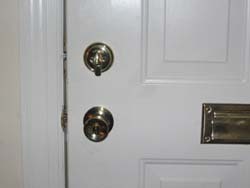 DEAD BOLTS - Never use a door dead bolt that is keyed on both sides. 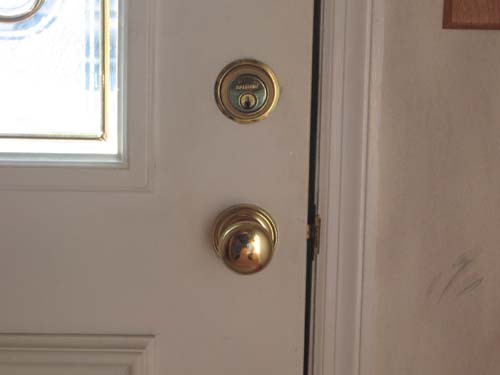 The reason is very simple, if a fire breaks out inside the house and the dead bolt key cannot be found, a person could be trapped in the house . Always use a dead bolt that can be open from the interior with a simple turn latch.